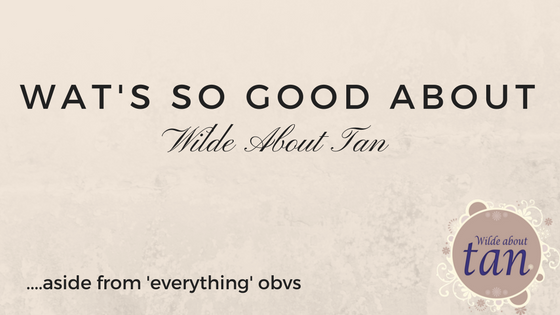 WAT's So Good About Wilde About Tan? WAT’s so good about Wilde About Tan!? There has been a huge turn in the past year regarding products and ingredients, everyone is looking for organic based, cruelty free and vegan products for reasons too obvious to elaborate. Wilde About Tan are delighted to be flying the flag for safe tanning. There is a huge amount of speculation and information about different ingredients in all beauty products and how they can be damaging for our health. One of the reasons that Wilde About Tan chooses the Vani-T brand above all else is their dedication to producing fake tan and make-up that is as beneficial to your skin as it can possibly be, without being detrimental to your health. The Vani-T Velocity solution that your Wilde About Tan professional will use during your spray tan appointment is FREE from many harmful chemicals that can be found in other brands. There are NO Parabens, NO Mineral Oils, NO Paraffin, No Sulphates, NO Phthalates, NO Glycols, NO DEA and TEA and NO artificial fragrances. What the hell does the above even mean though, we hear you mutter..well, we don’t want to be all extremist but there are many reasons why (some of those unpronounceable) ingredients are getting bad press. The scary stand out one – they are thought to increase the risk of some cancers, including breast cancer and there are concerns that they can interrupt hormone function and cause allergies and skin irritations. Parabens are used as preservatives in many beauty products to inhibit the growth of harmful bacteria and mould. They have been used since the 1950’s and are there are concerns that there may be a link between parabens and an increased risk of breast cancer. Sulphates are used in many products to produce a foaming lather. There are concerns that sulphates are too aggressive in their cleansing nature and can actually strip the skin of natural oils and cause temporary irritation and redness. Mineral Oil/Paraffin are ingredients that are derived from Petroleum and can contain many toxic components, seriously though, petroleum! There is evidence to suggest that this ingredient cannot be metabolized within the body so once it’s there it stays there! It is also thought that these ingredients can clog your pores and actually offers your skin no actual benefit. Fragrance – When you see Fragrance written on an ingredient list, you can be forgiven for thinking that it is a relatively harmless ingredient. Unfortunately, ‘Fragrance, Parfum and Aroma’ can be umbrella terms for hiding a combination of 100’s, possibly 1000’s of fragrant components, many of which will be artificial. There are concerns that these could cause hormone disruptions and allergies. We can guarantee that Vani-T only use fragrances from natural sources in their products. I don’t know about you, but I have a heap of pets indoors and couldn’t bear thinking about them being hurt or tested on. Vani-T products are never tested on animals and neither are any of the individual ingredients. They also contain no animal derived products. You can be safe in the knowledge that we only ever use or recommend products to you that are 100% vegan and cruelty free. Spot on! 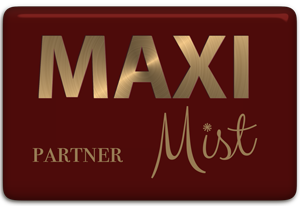 We love it that Vani-T are dedicated to providing safe, effective products that give you the most amazing natural tan, which is exactly why we, at Wilde About Tan HQ, only use this brand. Some other fake tan brands do still contain some of these ingredients….ensure that you are not substituting the dangers of UV tanning (flinches with that bad word) for synthetic, chemical based tanning solutions – neither of these are any good for your health. In fact, to be on the safe side, I suppose you could always just use a Wilde About Tan Mobile Professional and sleep soundly knowing you are protecting your skin, potentially pro-longing your life, saving the animals of the world, all whilst looking smokin’ hot! This information comes courtesy of our product and ingredient WAT professional guru, Katherine Sheard. She genuinely wouldn’t join the team until she had systematically checked every single ingredient in the Vani-T products. Katherine covers Loughborough and surrounding area’s with liquid confidence and is also the Franchise Manager for the South of the UK. To book with her or just to tell her how wonderful you think she is, contact her here.